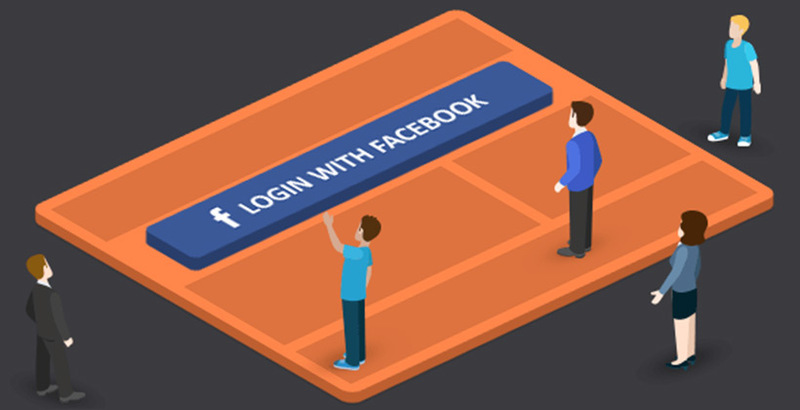 Wow Facebook Login Pro WordPress plugin — the efficient instrument developed for users’ easy and safe registration and legal data capturing necessary for further interaction with them. The created button supports flexible customization that allows it interweaving organically into design, keeping at the same time evidence of the page element’s purpose. Place the button in the necessary place with the help of a shortcode. Give the visitors quick and simple chance to order products or service, engaging in controversy or performing the other action available to the registered users. Full compatibility of the authorization plugin via Facebook for WordPress with Easy Digital Downloads plugin and the WooCommerce platform. Use the built-in editor to set parameters for displaying the registration button, its sizes, the displayed text and spacing between all elements. Use a personal appeal to registration for more effective engagement of new users. Set up the position of the Facebook logo in the right place of the button. Set up Wow WordPress Facebook Login on your website, and redirect users on any landing page after registration or authorization on the website. Use plugin for administrators authorization, placing the button on the */wp-admin page. From basic users the adimin-bar hides automatically. The plugin allows to export user base in the *.csv and *.xlsx formats. Use it for manual updating of the subscribers bases on the email-marketing platform you use. Set up plugin’s work, following step-by-step guide in the section Readme. Correct work will require activation of the application on Facebook, with the following plugin connecting with the help of App ID and App Secret. Set up Wow Facebook Login for WordPress for free or buy the full Pro version for access to full instrumentation. I was looking for a FB Only Login solution for my site when I found and purchased “Wow Social Login Pro” not realizing there was a Facebook Only version. I contacted support on a Saturday, and by the time I woke up on Sunday, I was able to switch over to the correct Facebook only version… thanks for being there for your customers! Just what we were looking for. Wanted to create a “FB only” registration process, WoW FB login Pro fit the bill. Works great. Excellent piece of software for capturing emails quickly and easily. Who wants to muck around typing email addresses when we are all used to clicking a “Connect With Facebook” button? Great for memberships, customer logins and checkouts. Easy to set up Facebook app with simple instructions. Highly recommended plugin.